I like to take advantage of the short window of time when stone fruit is in season. 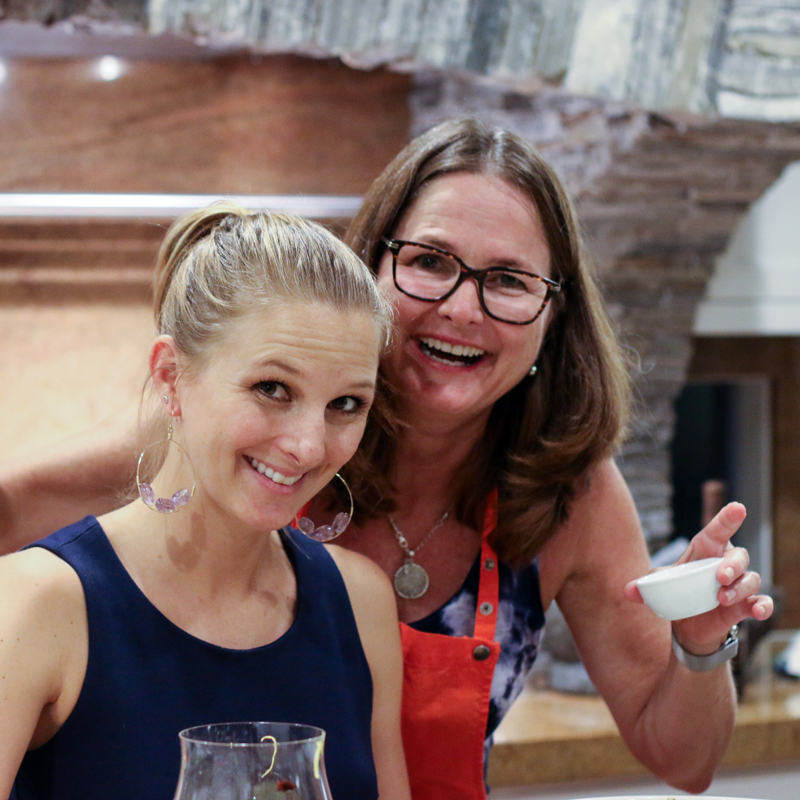 I serve peaches, nectarines, apricots and plums in cobblers, crisps and salads. 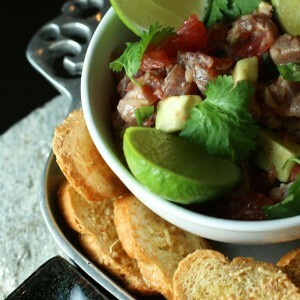 Here is a savory, no-cook appetizer that takes only a few minutes to prepare. I found this recipe in the August 2007 issue of Gourmet Magazine. 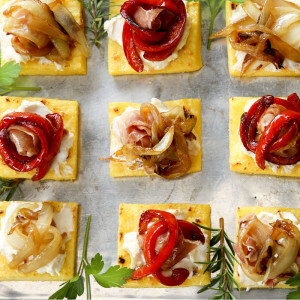 I have been making these no-fuss appetizers ever since. I have used peaches, nectarines and apricots. Cantaloupe and other melons can be substituted when stone fruit is out of season. The original recipe called for Spanish Serrano ham. I love Serrano ham, but it is hard to find and can be expensive. Prosciutto works very well if you can't procure Serrano ham. To learn more about Spanish sherry vinegar (Jerez vinegar) read my post. Slice the prosciutto or ham so that you have a 1" to 2" wide strip that is long enough to wrap around the peach slice, plus a little more so you can secure the meat with a toothpick. I can usually get 3 to 4 strips out of each slice of prosciutto, but it depends on the size of the slice. Juicy peach slices wrapped in basil and prosciutto and tossed in a Spanish sherry vinegar and cumin vinaigrette. 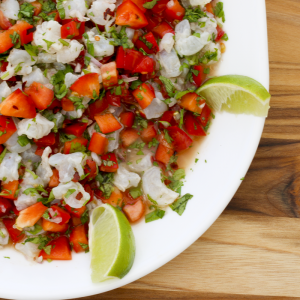 The perfect no-cook summer appetizer. In a bowl big enough to hold the peaches, combine vinegar, sugar and cumin. Add peach slices and toss to coat with vinegar mixture. Let sit about 10 minutes. The vinegar coating will keep the peaches from turning brown. 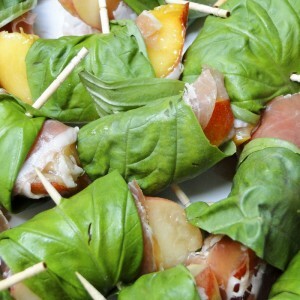 Wrap each peach slice in a strip of prosciutto or ham, then wrap again with a basil leaf. Secure basil leaf with a tooth pick. 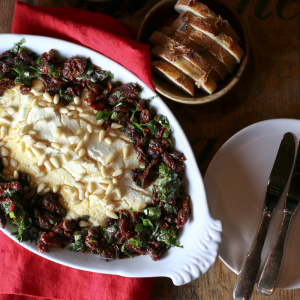 love this simple recipe and so did my husband. indeed, taking advantage of the stone fruit season and the basil in my garden. thank you again kim and somethingnewfordinner!